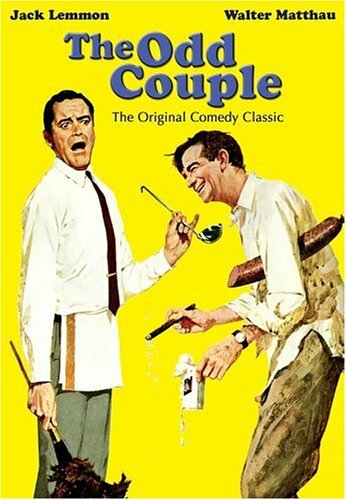 I recently saw a local theatre company production of The Odd Couple which I thought was pretty decent, but it did inspire me to revisit this, the film based on the Toni Award winning play, and which inspired the seventies television show. The concept? Slobby divorcee Oscar (Walter Matthaw) invites Felix (Jack Lemmon), a highly strung friend who has just been kicked out by his wife, to move into his apartment. And things get funny because they are just so opposite. It’s good – not brilliant, but pretty funny. The characters are good, if quite over the top. The writing is witty and, at times, just too witty to believe. I think perhaps I should have left a bit more time between watching the play and the film as I could almost recite it line for line – I think I would have appreciated the film a lot more with a larger gap between the two. The Odd Couple was nominated for Oscars for Best Writing, Screenplay Based on Material from Another Medium (Neil Simon) and Best Film Editing.